Portugal is not like a conventional birding holiday for Amanda & I; we have now visited the Algarve 10 times since 1992. We always book a villa independently with Barbara Read Villas. We first met Barbara in 1994 and we now regard her as a good friend. Unless travelling off-peak season, the villas do not come cheap for two as most are 2 or 3+ beds, but they are all individual, private and give us the living space we like which enables us to quickly relax right at the start of our holiday. If you are thinking of visiting the Western Algarve visit Barbara’s web site. I don’t think you will be disappointed. If you do decide to book with Barbara please give us a mention. Barbara also arranges very convenient and reasonably priced car hire with a local operator in Lagos. Cars can be picked up and dropped off at the airport without the usual hassle associated with the larger operators such as journeys by coach to and from the airport to the local depots. Flights to the Algarve are now relatively easy to come by from a variety of airports around the UK. We have always travelled from Manchester and usually with Monarch in recent years. If you wish to keep costs down and are not too bothered about the quality and size of the accommodation, there are any number of package holidays available from all destinations within the UK and at prices to suit any pocket. Although it is now very unlikely any new lifers will be added during a trip to Portugal, we continue to add to our Portuguese List and from holiday lists of c100 in the early days, we now regularly clock up 150+ species in a two week stay, almost irrespective of the time of year. We always enjoy Portugal as a birding destination for a relaxing holiday combined with special species not regularly seen in the UK. Tourist maps of the Algarve and of Portugal/Spain (for trips further inland) are readily available at the new motorway service areas or local tourist shops. The main site books used were A Birdwatching Guide to the Algarve by Kevin and Christine Carlson (ISBN 1 900159 00 7) and Finding Birds in Southern Portugal by Dave Gosney (ISBN 1 898110 18 2). Similar sites are also covered in the more extensive Hamlyn Birdwatching Guide - Where to Watch Birds in Spain and Portugal (Where to Watch Birds) by Laurence Rose (ISBN 0 600 58404 6). Numerous supermarkets around the Lagos area make self-catering easy. In the main, the maps and directions in the Site Guides are good.  There are however one or two notes below, which point to additional areas well worth further examination. Some journey times have been dramatically improved following the opening of additional motorway stretches west to Lagos and north near Albufeira towards the Alantejo. As a guide to birds which are likely to be seen at the various sites, links have been created to lists I have seen over the years and can be accessed by clicking on the site name. Do not visit this area on Sundays as the local hunters are out in force and birds are almost non existent. Visits in the last three years have not been as productive as earlier years, possibly as a result of increased disruption from hunters. 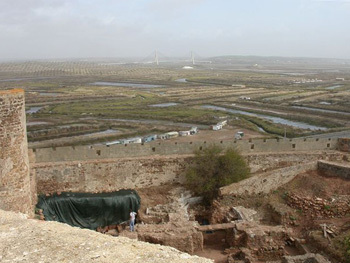 Having arrived at Mertola, the onward, return journey towards the coast at Castro Marim or inland towards Loulé is quite time consuming. Although there are a few nice habitats on the way, which are well worth short stops, we have recently retraced our footsteps to the motorway near Castro Verde if time was critical. 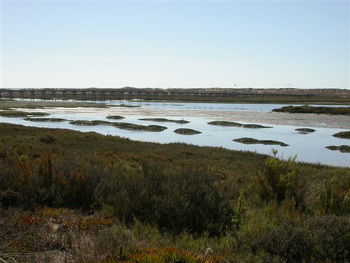 A walk around the salt pans on the raised embankments is recommended for both waders and gulls/terns. Collared Pratincoles can be a star turn in Sept/Oct. The west bank of the estuary does not get a mention in the guide books but is well worth a visit, especially at high tide. 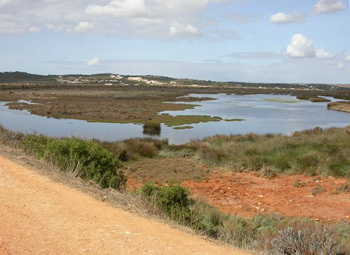 Access is either from east of Lagos via Meia Praia and Palmares golf course following the coastal track around the fish tanks, eventually rejoining the N125 east of Odiáxere, or in reverse if travelling from the Portimão side. Leaving the N125 at Raposeira this is an interesting drive down a river valley with diverse habitats to a deserted sandy bay. In January 2004, our first visit, the area was rich with Blackcaps, Chiffchaffs, Redwings and Ring Ouzels. Bird numbers fluctuate dramatically dependant on season, but always worth a visit on the way west to Sagres and Cape St Vincent. The tracks around the Cape should be visited at every opportunity, especially in Sept/Oct. Most are driveable and although our last few visits have not yielded Little Bustards, the variety of species is almost always guaranteed. The main tracks in question are not shown in the guide books, but start immediately after the Taverna de Beliche. Turning right by the Taverna, two tracks head north, straight inland, and run either side of a small strand of trees for c1000m. At the end of the trees the tracks join and head right (east) along another stand of trees towards a trig point on a small hill, which is visible almost as soon as you first join the tracks. The trig point is an excellent vantage point to watch raptors in late September, early October, especially after a strong easterly wind or preferably storm. The birds rest in the surrounding fields and woodlands overnight and as the day heats up (usually 10.00 hrs onwards) they can be seen circling and gathering height overhead, prior to continuing their southward migration. The widest track, a little further west from the Taverna, heads inland towards a farm, visible in the distance from the road, and onwards to Vila Do Bispo. This track is well worth taking (we had a pair of Black-shouldered Kites regularly in Jan 2004 near Vila Do Bispo) as are the small offshoots heading towards the coast by the previously mentioned farm. Birds at the Cape itself can be a little disappointing at times. There is also a small site at Sagres, not mentioned in any of the guides, which is excellent at migration time as it is the only stand of trees for some distance. As well as numerous warblers and flycatchers I have seen up to 4 Wryneck here at one time in autumn. Taking the N268 into Sagres, turn right at the island (where there is a left turn to Sagres town and straight ahead leads to the Fort at Ponta de Sagres) towards Cape St Vincent. Almost immediately on the right hand side of the road, after a Pottery and before the building compound with the radio masts, there is a large pull in space by some small conifers. This wooded area, plus the disused gardens/allotments nearby are always worth a call when migrants are around. As regards Sagres itself, I have always found the best sea-watching spot is the headland by the Henry the Navigator luxury hotel rather than from the Fort. Turning left at the island at the end of the N268 mentioned above, follow the minor road through the town towards the harbour. The hotel is set back on the right almost at the end of the town and before the road starts going downhill to the harbour. 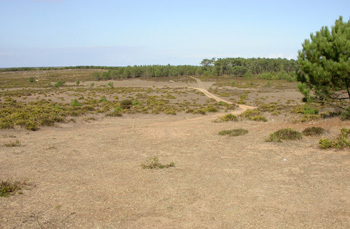 The track at the end of the hotel road leads onto the headland, which is also favoured by Black Redstarts, wagtails, pipits and warblers and on one occasion, an Ortolan Bunting. North of Carrapateira in suitable habitat by the roadside we have previously seen Cirl Bunting on most trips. 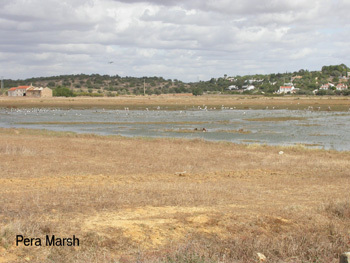 The salt pans to the right/east of N122 around Castro Marim are well worth exploring at any access point, for waders and also Little Bustard. Leaving Sagres on the N268 towards Vila Do Bispo take the fist right turn leading to the north end of Sagres harbour/bay. The small tidal pool, which usually contains brackish water as only the highest tides breach the entrance, usually contains a variety of waders and gulls. But, more importantly, the beach bar Nortada (not the first, surfers bar) has excellent food, is open all year and is ideal for lunch when visiting the area. Can be a little disappointing at times and not one of my favourite sites. One of the best little habitats on the Algarve and regrettably under threat from local developers. Four visits in January 2004 tell their own story! Can be a little difficult to find at first, but from N125 east of Alcantarilha at traffic light junction, take road to Armação de Pêra and almost immediately take a minor road left across a narrow bridge. Over the bridge veer right (straight on goes into Pêra) and follow this road around the outskirts of the town, going up a slight incline to an “island” at the top of the rise (circular building in fields to the right) and turn right (main road carries on to Albufeira) taking the small road down to the beach. 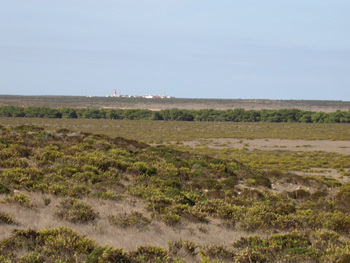 This road and Pera Marsh are to the west of the golf course – Salgardos. The minor road eventually deteriorates into a track to the main beach car park. Tracks to the left, off this main track go right to the waters edge. I think the best way to view this extensive site is to head for the beach car park at Quinta do Lago at the end of the seven islands on the Ave André Jordon (Carlson Pg 16 & Gosney Pg 3). From the car park head towards the beach and turn left immediately prior to the wooden footbridge and follow the path around the edge of the golf course. The maps in Gosney Pg 5 & 7 clearly show the route around to Ludo Farm. The track leading from the golf course to the farm has a sign for the emergency exit road from the airport – don’t worry. The salt pans between the golf course and the farm are excellent for waders etc. We don’t always visit this area as birding can be a little disappointing other than a number of specialist woodland birds and the occasional treat (Rock Bunting and raptors) from the peak Fóia. Although I have not yet been to Olhao & Fuseta (Carlson Pg 24) and Tavira (Carlson Pg 26) a colleague advises they are well worth a visit for waders, especially in autumn. Species seen at each site are detailed in the 2003/4 Trip List below. For comparison you can also access my Portugal Life List covering 1992 to date.